Commissioners at the National Inquiry into Missing and Murdered Indigenous Women and Girls clarified their powers Tuesday on the eve of releasing an interim report into their work of the past 14 months. “Our mandate prohibits us from opening cases and investigating them,” said Qajaq Robinson in Membertou, N.S. Robinson and Michele Audette spoke to reporters on the second of three days of public hearings scheduled for Atlantic Canada. The mandated interim report will be released in Ottawa Wednesday and mark the half-way point for the commission appointed by Prime Minister Justin Trudeau. The government has been told it can expect a request for an extension after commissioners complained of a slow start due to personnel, equipment and funding issues. “You’re right, this is a challenge in trying to explain and do what we can with what we have,” Robinson added. Hearings began in September as part of what the inquiry calls the “truth-gathering” phase. Commissioners are listening to families and survivors in “trauma-informed” ways during public and private sessions. They plan to hear from community, police and government officials during the next phase. “We have that capacity to request more information – not to reopen the case – I want to be clear here — but to understand what went wrong,” said Audette. After a slow start momentum is building, they added, noting about 900 people have shown interest in giving testimony across Canada. In the Atlantic region alone that number is now at 120, leading Robinson to pledge more hearings. 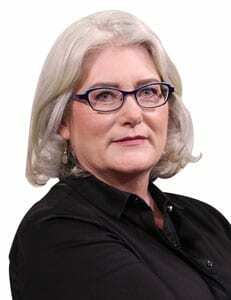 “It is our intention to get to the other Maritime provinces as well,” she said. The commissioners have orders-in-councils for all provinces and territories and the federal government, giving them the power to compel witnesses and make sweeping recommendations. But the results will be non-binding. 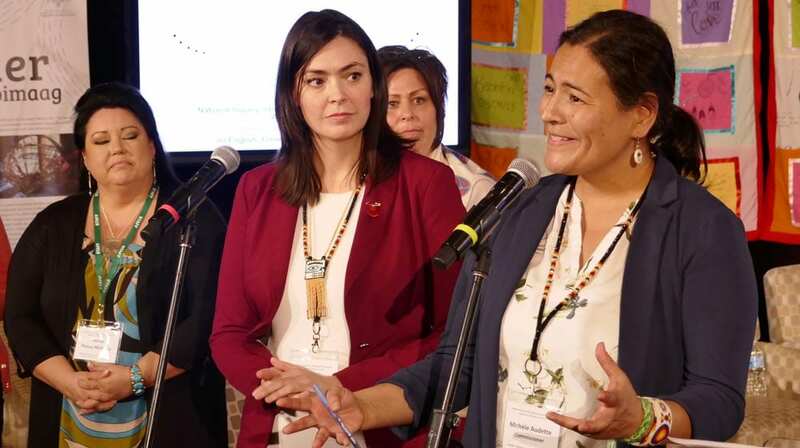 “There will be tangible actions that each province and territory and federal government can take as a result of what we learn,” Robinson said, adding it will be up to voters to make sure politicians follow them. Critics wonder how the $54-million budget is being spent. APTN News is still waiting for a financial breakdown it requested when the inquiry was in Winnipeg. And it sounds like the Inquiry is still having trouble getting the word out about what it is doing and where. That’s why some families are waiting for a call that will never come – so Robinson encouraged them to contact the Inquiry. She says they’ve been trying to find as many of them as possible. The Inquiry is due to wrap up at the end of December 2018, without an extension from the government. Looking for results of Nunavut’s election?